How to bet Adelaide: Adelaide home fortress showed signs of cracking last season they still have a strong home record across the last three seasons covering the line in 25 of 37 home games across this period. They are 5-1 as 55+ point favs at home. They are also a dominant over team, particularly at day time and have gone over the total match score line in 18 of their last 26 games in this time slot. History tell us not many teams make a big jump up the ladder but the Lions shape as a team that can do just that. While they have lost Beams – the Lions have a highly talented crop of young guns that are approaching the 50 game mark. They have bolstered the midfield with Neale and Lyons – added backline depth with Adams and drafted a mature bodied midfielder in Ely Smith who could very well make an impact. It has been well documented that despite five wins last season the Lions were not disgraced by a percentage of 89% which led to them being labelled the ‘best bad team ever’. While they had five wins – Pythagorean ratings had them at 8.6 wins. They also lost five games by seven points or less. With more maturity and even luck – expect to see more of those games going the Lions way. The Lions have an excellent draw with double up games against Gold Coast/Hawthorn/North Melbourne/Port Adelaide/Western Bulldogs – none of who are in my top eight this season. I have them 10th and a few places higher would not surprise. How to bet Brisbane: The Lions have gone over the total match score line in 26 of their last 33 games on the fast Gabba track with Fagan continually encouraging his men to chance their hand in attack..
Any hopes Carlton had of climbing out of the bottom two may already have been extinguished following the pre-season ACL injury to the luckless Docherty. There are some green shoots with Cripps and Curnow shining lights and the core of their roster having been acquired in the last four drafts including promising number one pick Walsh. However this is still a team that has not racked up a century for two and a half seasons and had a dismal percentage of 59 last season. The draw hasn’t been very kind with double up games against Gold Coast/Richmond/St kilda/Sydney/Western Bulldogs. Carlton won one of seven games against those teams last year. How to bet Carlton: The Blues have been a Jekyll and Hyde team for five seasons now, covering the line in 36 of their last 60 day matches, often against lower ranked sides but failing to cover the line in 35 of their last 56 night matches, which more often than not are against higher profile teams. Collingwood took full advantage of a soft draw in 2018 to secure a rails run all the way to the Grand Final. All up they went 14-0 against bottom ten teams while going just 3-9 against top eight teams. They also have to overcome a recent hoodoo with only one of the last five beaten grand finalists managing to win a finals game the following season. The Pies did have a sound off season managing to keep the bulk of their roster intact while adding the class of Beams to their midfield but do they really need another midfielder? I would have strengthened the forward or back lines as a first priority. Collingwood will be hoping to get more out of the injury prone Moore/Elliott/Wells in order to take the next step but that’s asking a lot. Collingwood will pay the price for their success last season with a tough draw that sees the with double up matches against certain top eight sides West Coast/Richmond/Essendon/Melbourne along with the Western Bulldogs. I have them at the bottom of the eight. How to bet Collingwood: The Pies love playing at night and covering the line in 25 of their last 34 night games. They have also covered 19 of their last 27 as underdogs including 11 of 16 as MCG underdogs. Collingwood improved their record under the sun, but have still failed to cover the line in 28 of their last 47 day games. Look for the right opportunities to bet these angles. The Dons 2018 was a season of two halves with a 2-6 opening record leading to the departure of assistant coach Mark Neeld that led to a 10-4 finish to the season on the back of a return to a ball control game and a high rate of uncontested marks. If the Dons can reprise that form and also manage to get close to a full season out of Daniher and Fantasia then they could very well challenge for the top four. To do that they need new acquisition Shiel to be a leader of their midfield but the jury is still out as to whether Shiel can go from a 4th/5th best midfield at GWS to top gun at Essendon and for that reason i have them just outside the top four. A tough draw with double ups against Collingwood/Fremantle/GWS/North Melbourne/Sydney also makes the leap to top four difficult. How to bet Essendon: Essendon revel in playing at night covering the line in 35 of their last 49 night games. They are also prone to going under the total match score line at night – going under in 34 of their last 53 night games. Fremantle won eight games last year but had a horrible percentage of just 76.2. They lost nine games by 50 points or more. They have lost Lachie Neale. Their middle age bracket of their roster is very thin. If you apply pythagorean theory to their 2018 season – it was only worth 5.7 wins so they arguably overperformed last year and could be ripe for a slide. However – i expect Fyfe and their good home record (6-5 last season) to ensure that they don’t slip too far down the ladder. The fixture is reasonably kind with double up games against Essendon/Port/St Kilda/West Coast/Western Bulldogs – Freo went won four of eight games against these teams last season. How to bet Fremantle: Freo jumped out of the blocks at Optus Stadium covering the line in 9 of 13 games at the new venue. They have been an outstanding long term under bet at night, having gone under the total match score line in 30 of 38 night games since 2012 and unless Lyon radically changes his coaching approach, I expect this to continue. Interestingly, Freo also have a poor long term record of backing up with six days or less between games having covered the line in just 11 of their last 35 games off a short backup. While i see their great rivals Hawthorn and Sydney slipping out of the eight – i think Geelong can hang around for one more season. Geelong have only missed the finals once since Scott took over as coach in 2011 and think the sheer class of Dangerfield/Selwood/Kelly and their Kardinia Park fortress will carry them one more time. The Cats were actually much better than their eighth placing last year suggested with their percentage of 131% converting into 16.3 Pythagorean wins so write them off at your peril. I also expect that the Cats draw will pan out favourably with double up games against Adelaide/Hawthorn/North Melbourne/Sydney/Western Bulldogs. How to bet Geelong: These Cats are not at their best at the G and have only covered 9 of their last 28 games at the venue while also going under in 25 of their last 34 at the MCG. However – they dominate at Kardinia Park and have covered the line in 20 of their last 25 games at the venue against all teams bar their bogey team – Sydney. Geelong struggle to run up cricket scores against lower ranked teams and have only covered the line in 15 of their last 43 games as a 30.5+ favourite. This is not going to be pretty and could very well be a catastrophic disaster. Dew is a sound young coach and he tightened up the Suns defence enough last year to pinch four wins but he has lost some key players headlined by Lynch and May. Hence – the roster has been blown up and the club will again start from scratch. Importantly – none of the incoming seven players could get a regular came where they came from – which hardly inspires confidence. The forward line will likely be led by Peter Wright who played a grand total of seven games last season. Their best hope of avoiding the wooden spoon lies in pinching a couple of wins in the opening month against Saints – Freo – Dogs and Carlton. I don’t think they can do it. How to bet the Suns: Take on the Suns at night as they have only covered 6 of their last 25 under lights. Under Dew – the Suns emerged as an unders team – going under the total match score line in 17 of 22 games. After two preliminary final losses to the eventual premiers in 2016/2017 GWS faded late in the 2018 regular season to see a top four berth slip from their grasp. They beat the Swans first up in the finals before bowing out to Collingwood again raising questions about whether Leon Cameron is the right coach for this team. Has the premiership window closed? I fear it may have. While a number of rival clubs have improved the GWS list took a hit with the loss of Shiel/Lobb/Scully/Setterfield in the off season. The Giants will need the depth players on their roster to stand up and make an impact an d as talented as their young roster might be there are too many question marks for me. They are not helped by a tough draw with double up games versus Sydney/Richmond/Hawthorn/Essendon/Gold Coast and for that reason i have them slipping out of the eight. How to bet GWS: The Giants are a major under play under lights, going under the total match score line in 21 of their last 27 night games. They remain poor interstate only covering 6 of their last 17 outside NSW and ACT. Clarkson and his men defied predictions of their demise last season to return to the top four before being bundled out of the finals. You would back Clarkson to adjust to the new rules quicker than most but does he have the cattle and more importantly the depth of yesteryear? I think not. With the likes of Roughead and Puopolo on the slide – if you stop Gunston and Breust then usually you can stop Hawthorn. A brutal draws awaits. Last season the Hawks went 2-5 against the teams they will play twice this season. They just miss the eight. How to bet Hawthorn: Hawthorn rebound well when playing at the MCG after a loss covering the line in 14 of the last 20 such instances. Melbourne finally returned to the finals in 2018 after a 12 year absence and dumped Geelong and then Hawthorn out of the finals with five goal wins before falling to eventual premiers West Coast in Perth. A closer examination of Melbourne’s season reveals they arguably underachieved in racking up 14 wins as they lost all five games decided by 12 points or less. On the flip side they know how to put a side to the sword racking up eight wins of 45 points or more. Their 14 wins therefore converts to 16.3 Pythagorean wins. Melbourne had busy trade period which which was headlined by the loss of Hogan and acquisition of May who could be a star in Melbourne and will shore up a backline that needs some help. 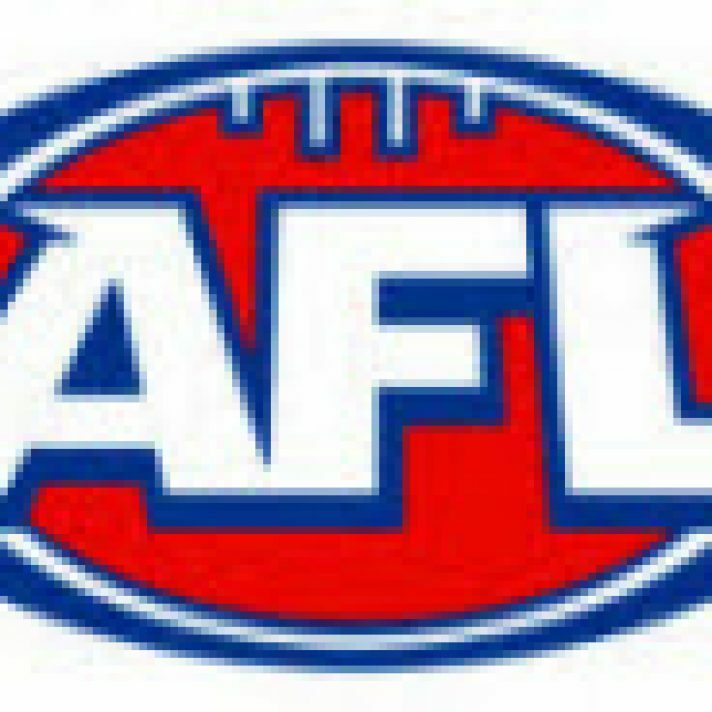 I expect the Dees to rise up the ladder significantly this season with only a tough draw and their decision to play home games in the Northern Territory preventing them from claiming the minor premiership – they have double up matches against West Coast/Richmond/Collingwood/Sydney/St Kilda. Runners-up. How to bet Melbourne: The Dees have emerged as a sound betting proposition when travelling interstate covering the line in 9 of the last 14 such instances. The Roos defied expectations to finish one win outside the top eight last year. They needed at least two key signings to take the next step into the top eight but failed to land De Goey or Gaff eventually settling for Jared Polec Jasper Pittard and Aaron Hall – which is well short of what they need. I expect Polec to perform but have question marks over the signing of Hall and Pittard. North’s draw is a bit of a mixed bag with double up games against Geelong/Port Adelaide/Essendon/Hawthorn/Brisbane. They also have two trips to Queensland and two to WA. I’m expecting a similar year to 2018 with North again just missing the eight. How to bet North Melbourne: North have a great long term record when despised underdogs, covering the line in 21 of their last 31 matches as a 15.5 to 30 point dog. They have also covered 10 of their last 14 at the G.
Port have hung around the 7-10 bracket on the table for four seasons now – never really threatening to crack the top four but possessing enough class to stay well clear of the bottom six. Where to now for year seven of the Ken Hinkley era? After a good start last season – they only managed to win one of their last seven games. They have lost two top six players from their roster in Wingard and Polec. Their depth is poor with nearly half their list possessing less than ten games of experience. Last year’s much hyped acquisitions Rockliff/Watts/Motlop arguably did not justify the money invested in them while this year’s recruitment has been minor. I see a small slide for Port this season. How to bet Port Adelaide: Port are very good at controlling the tempo of games to suit them at the Adelaide Oval and have gone under the total match score line in 32 of their last 43 home games. A season that promised so much for the Tigers ended in bitter disappointment when losing the preliminary final to Collingwood as three goal favourites. The Tigers are well placed to bounce back this year after landing the big signing Tom Lynch while only losing Conca/Ellis/Miles. While some rivals have treaded water or lost talent from their list Richmond have clearly upgraded. Their list is very settled and should be hungry to atone. The fixture Gods have been kind to Richmond as despite finishing top of the ladder the Tigers have the sixth easier fixture of 2019 as rated by Champion Data. This includes double up matches against Carlton/Port Adelaide/Collingwood/Melbourne/GWS. 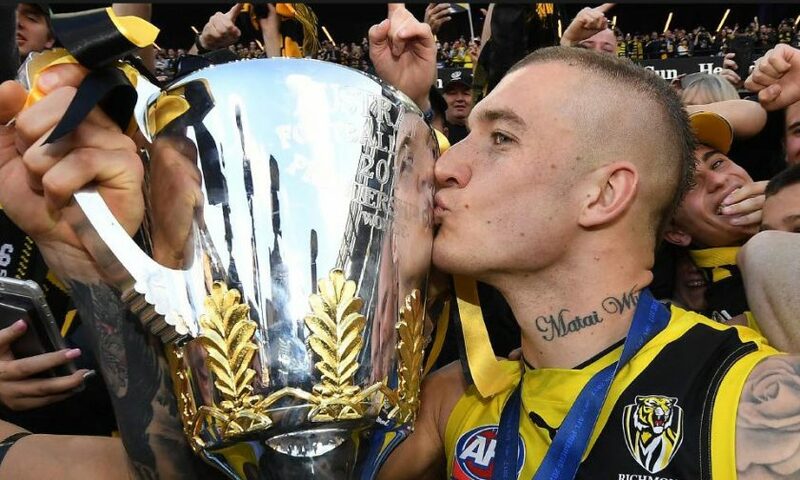 I have Richmond returning to the top of the tree in 2019 to claim their second premiership in three seasons. The promise Saints showed across 2016-2017 has all but evaporated after a nightmare 2018 which yielded four wins – a percentage of 75 and a six match losing streak to finish the season. the Saints backline is solid with some good performers but the midfield and forward line lacks genuine match winners. Their recruitment has not excited and I have serious question marks over the acquisition of Hannebery for what they paid for him. He is banged up and moved very poorly last year and i fear he could be the worst return on an investment since Daniel Wells. A friendly draw with double ups against Gold Coast/Carlton/Fremantle is the only reasons Saints will avoid the bottom two. How to bet St Kilda: Away from Etihad and the MCG the Saints have covered the line in just 16 of their last 42 games outside Melbourne. The Swans faded late in 2018 falling from third position after Round 13 to outside the eight before recovering to scrape into sixth spot. They were dismal in a 49 point finals loss to GWS – managing just four goals. They were also poor at home in the regular season going 5-6. The Swans were busy in the trade period and did the right thing by not trying to hold onto Hannebery while also bringing in Menzel to provide support for Buddy up front. The Swans are generally well coached and hard to beat and under Longmire always manage to secure enough wins to play finals i feel other teams have gone past them. They have double up games against Carlton/Essendon/Geelong/GWS/Melbourne. No interstate side has gone back to back since the Lions in 2001-03. I have the Eagles finishing third. How to bet Sydney: The Swans play their best footy in the daytime covering 35 of their last 53 day games. They have also gone under in 24 of their last 35 home games. Full credit to West Coast for their effort to overcome the retirement of 1000 games experience in Priddis/Mitchell/Petrie/Butler in 2018 – not to mention injuries and suspension to Naitanui/Gaff/Sheppard for the finals. The off season saw the Eagles lose a premiership ruckman in Lycett who they replaced with Hickey from St Kilda which is acceptable. What is remarkable is that the Eagles blooded eight debutants for the season but it is also a concern that a good portion of their squad now have to overcome the second year syndrome. The Eagles now have to try and climb the mountain again and overcome a tough draw along the way with double up matches against Fremantle/Collingwood/Melbourne/Adelaide/Hawthorn. I think they’ll fall just short. How to bet the West Coast: The premiers had another good year at home and have now covered the line in 33 of their last 48 home games. They also enjoy playing at night and have covered the line in 16 of their last 23 night games. 2016 seems like a long time ago, already. There was little about the Dogs premiership win that suggested a dynasty in the making and the past two seasons have proved the doomsayers correct with the Dogs fading badly since. Their cause has not been helped by Coach Beveridge’s endless tinkering with the set up which reached a new low when Easton Wood was shuffled off to the forward line.Even if Beveridge is able to start playing players in their best positions and the team continues to be a highly ranked clearance side – i don’t see the firepower in the forward line to kick winning scores and therefore no light at the end of the tunnel. The return of Liberatore from injury will help along with the reacquisition of Suckling but a season in the bottom six awaits. Double up matches against Carlton and Freo represent the best opportunity to rack up some wins. How to bet the Western Bulldogs: The Dogs have a good record as small underdogs covering 18 of their last 29 as 0.5-15.5 point underdogs. They have also gone under in 21 of their last 21 away matches. Published on March 18, 2019 in AFL. Published on 12th April 2018. Published on 30th April 2015. Published on 15th July 2013.